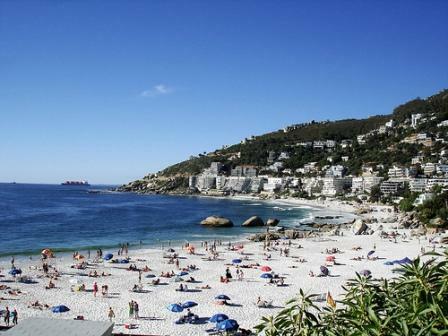 Cape Town Beaches: A guide to the best beaches. Cape Town Beaches are renowned as some of the better beaches in the world to enjoy family outings, watersports and spectacular sunsets and scenery. 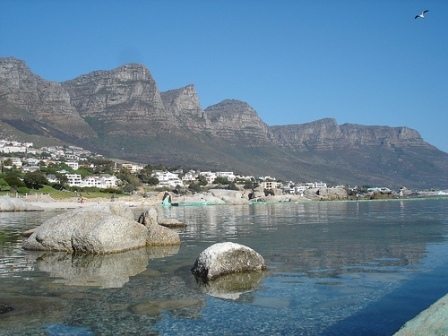 Broadly speaking, we divide beaches in Cape Town into those to the west of Table Mountain, the Western Seaboard and those East of Table Mountain, The Eastern Seaboard. These are the beaches bordering the Atlantic Ocean and ocean temperatures range from 10 - 14 degrees C.
The culture of these beaches is also rather up market and fashionable. 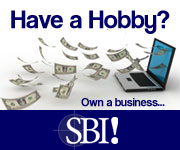 This is where you will find the trendy coffee shops, restaurants and bars. 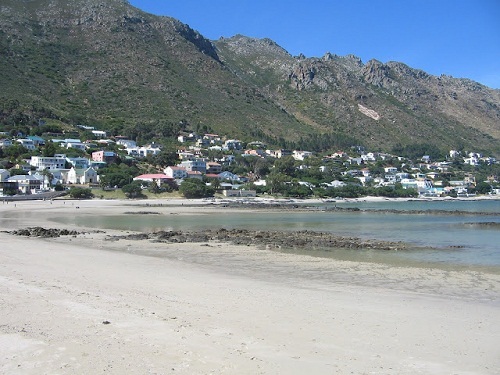 These are the beaches bordering the False Bay and they are more family orientated beaches. The water is warmer than at the Atlantic beaches (usually 3-4 degrees warmer) and are great swimming beaches. Many are manned by lifeguards so that swimming water sports are relatively safe. 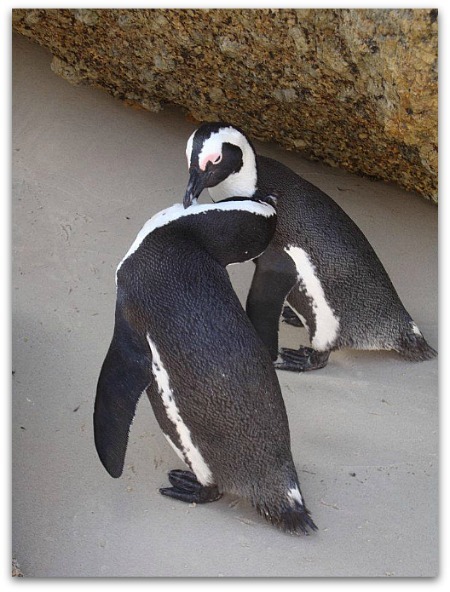 Boulders Beach in Simonstown, is home of an African penguin colony which can be viewed from boardwalks. At the small beach you will also share the water when you take a swim. Simons Town is known for its with pubs, galleries, antique shops and souvenir shops ensuring opportunities for browsing and finding that special gift. Muizenberg Beach is best known for the brightly painted beach huts. This is a major surfing spot in Cape Town. A path next to the beach allows for an easy stroll to neighbouring beaches St James and Kalk Bay. 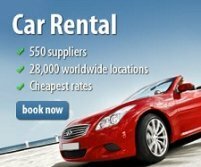 Strand and Gordons Bay are safe family beaches a 40 minute drive from the city. 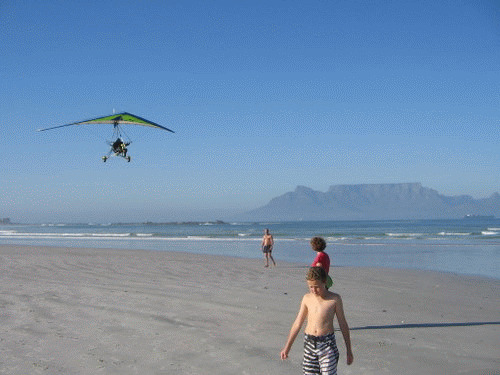 The warmer water of the False Bay makes these beaches popular for water sports. South Africa was the first country outside Europe to have had beaches awarded the international recognised blue flag status. This gives visitors the knowledge that these beaches safe and clean and adhere to international safety and other tourist standards. The only thing that you must now do, is to decide which one you want to visit. Having said that, it is not that easy a choice as there are so many great beaches. The following factors should influence your decision on which beach to visit. The wind - Summer is our beach visiting season, but it is also the windy season in Cape town. The prevailing wind is the south Easter, also named the "Cape doctor" as it blows away the pollution. And some unwanted tourists :-) (Those that find fault with everything and anything). 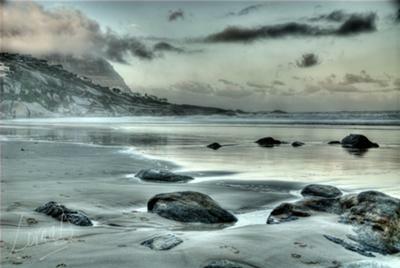 The position of the beach relative to mountains - the Table Mountain range in the southern peninsula and the Hottentot Holland Mountain range in the northern peninsula. This is important as these mountains shelter some beaches from certain winds. The proximity of a cosy restaurant or bar always soothes away the worry of what to do when you're hot and bothered, or whether the wind is gusting. Are there rock pools to keep the children busy, or do you want a flat sandy beach to play volleyball or tennis? Ek soek nie noodwendig mense rondom my as ek strand toe gaan nie. Daarom besoek ek gewoonlik die strande op die Atlantiese Oseaan - Blouberg, Melkbosstrand en in uitsonderlike gevalle Kampsbaai en Clifton. Parkering is gewoonlik 'n probleem by laasgenoemde twee strande as jy nie vroeg gaan nie. My gunsteling is nog altyd Bloubergstrand gewees. Selfs op die heel warmste dag is daar altyd 'n koel seebries om jou af te koel. Dan kan jy ook lekker ver stap op die plat strand met sy fyn sand terwyl jy die branderplankryers dophou. Die nadeel? Net die heel braafste mense kan daar swem. Die water is verfrissend, nee wag ek lieg nou, die water is koud! My ander gunsteling is natuurlik Strand (Ook bekend as Strand-Somerset-Wes). Veral later in die dag, want dan is die strande stiller en die water van Valsbaai is nog warm genoeg om te kan swem. Natuurlik moet jy vis en chips op die strand eet. Dis al 'n Kaapse instelling. Geniet ons strande en help asseblief ook om hulle skoon te hou. Return from Cape Town Beaches page to Homepage.